Fans attending next month’s Winter Olympic Games in Pyeongchang will be free to wave Russian flags, the International Olympic Committee (IOC) confirmed today as the organization published the eligibility criteria athletes from the country must meet to be cleared to compete. It follows reports in Russia that their country’s flag will be completely banned from the event in Pyeongchang, which begins with the Opening Ceremony on February 9. 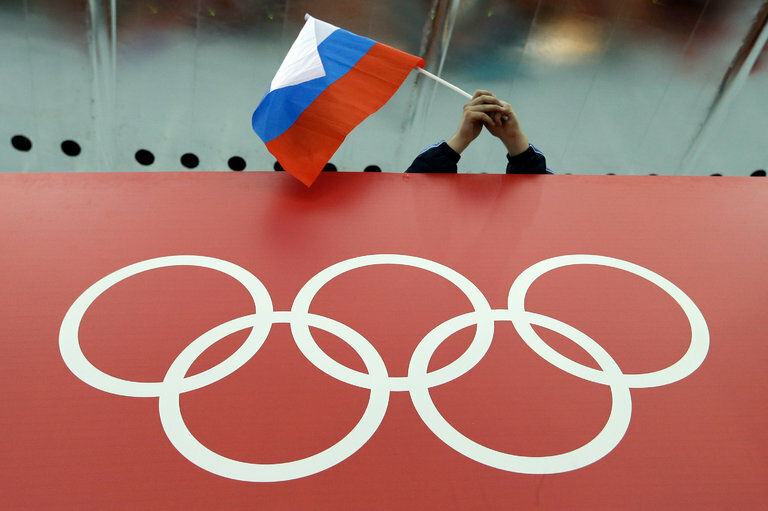 Russian athletes deemed eligible to compete in South Korea will do so as part of a neutral team following evidence of a “systemic manipulation” of the doping system at the 2014 Games in Sochi. The team will be called the “Olympic Athletes from Russia (OAR),” however, and is set to be allowed to march under its own flag at the Closing Ceremony of the Games. The IOC today published the criteria for Russian athletes to be included on the neutral team following criticism from a group of National Anti-Doping Organisations (NADOs). Their failure to do so previously had been described as a “missed opportunity that has undermined the rights of clean athletes” by representatives from 19 NADOs. Any evidence of suspicious steroid profile values, DNA inconsistencies and irregularities of the Athlete Biological Passport are among the evidence being used to determine which Russian athletes can compete. The IOC also confirmed the criteria used includes the information in the Laboratory Information Management System (LIMS) database obtained by the World Anti-Doping Agency (WADA) and shared with the IOC last month. “The LIMS was reconstructed by a WADA forensic expert and then subjected to a rigorous authentication process to confirm its accuracy,” the IOC said in a statement. Any previous doping violation or being sanctioned by the IOC’s Oswald Commission would mean an athlete is excluded from the invitation list, the IOC confirmed. These criteria were widely known but the IOC are hoping the release of the full details will ease some of the criticism they have faced, notably from Russia, in recent weeks. “The list on which the Invitation Review Panel based its considerations covers a wide range of information,” said Fourneyron. “Overall, it is comprehensive but by no means exhaustive; and I would like to stress that we also looked at a wide range of intelligence and other sources. Negative rhetoric towards the IOC has increased in Russia following claims that short-track speed skater Viktor Ahn and leading biathlete and cross-country skier Anton Shipulin and Sergey Ustiugov are among those barred from Pyeongchang 2018 despite never having been publicly implicated in the doping investigation before. A letter has been sent to the IOC this week, co-signed by International Ski Federation President Gian-Franco Kasper and International Biathlon Union counterpart Anders Besseberg, requesting more information about their decision-making process. Thirty-nine of the 43 Russian athletes so far disqualified by the IOC from Sochi and handed life-bans from future Olympics are currently appealing to the Court of Arbitration for Sport in Geneva. They are accused of complicity in a scheme where tainted doping samples were illegally tampered with and replaced with fake, clean ones. The CAS announced today that the hearings will finish by Saturday (January 27). The CAS said they had so far heard from athletes in the disciplines of speed skating, skeleton, luge and ice hockey. “Over the next two days, the Panel will hear the remainder of the athletes from the disciplines of cross-country skiing and bobsleigh,” a statement read. A final decision is expected between January 30 and February 2. The CAS have said an exact date will be revealed in due course.